Thibaud Boudignon has been expertly producing rich, mineral-driven wine in Savennieres since 2008 but only recently began making wines under his own name. Originally from the Medoc region of Bordeaux, Thibaud learned his trade at Chateau Olivier before heading to the Cotes de Nuits to work with Philippe Charlopin. He then moved to Anjou and has been the maître de chai for Chateau Soucherie since 2008, leading that estate to 100% organic viticulture and emphasizing the nuances of single vineyard sites in the area. A 100% Cabernet Franc Rosé, with great tension on the mouthfeel and finishes with that crisp dry sensation we all enjoy. 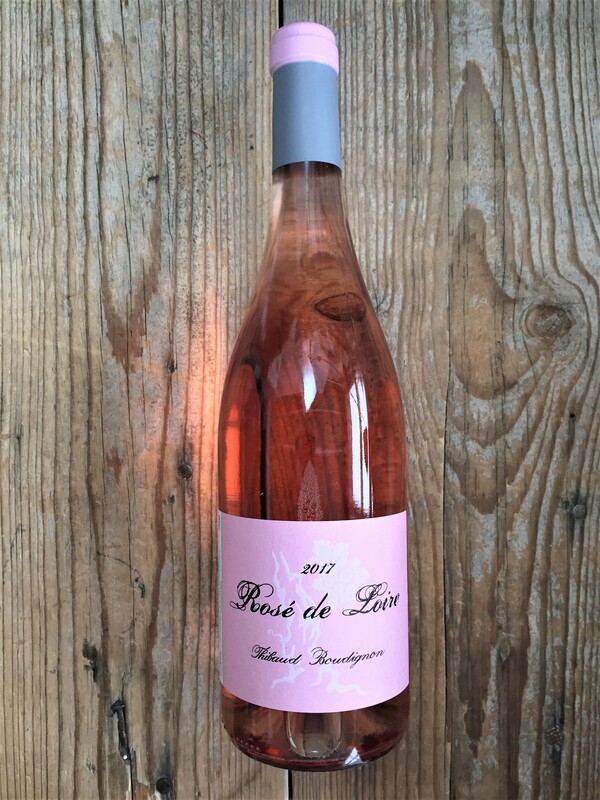 The vineyards used for the Rosé de Loire AOC bottling are 35 years of age and planted in shallow rows of sand, grey schist, and rhyolite which is a volcanic soil. The harvested grapes go through a gentle pressing in tank followed by 4-6 months in stainless steel. All organic farming—manual harvests—minimal winemaking practices. Mercy! After pulling away from your glass expect to be encouraged by this new generation of Loire vignerons, being led in force by Thibaud Boudignon.